A great way to start your holiday is with the new issue of Flaming Star (#95). With a little help of the Norwegian fanclub I am able to do so. This issue starts with a great - well deserved - tribute to DJ Fontana, a very fitting in memoriam. The Elvis on Billboard series continues with 1964-1969. 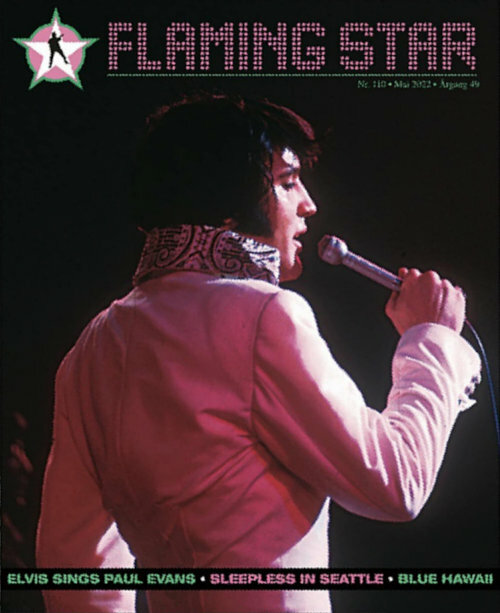 Attention for the Norwegian 'Elvis Concert' last June, Priscilla and Harum Scarum fills another part of the magazine. There's also an in memoriam for Yngvar Holm, who obviously meant a lot to the Norwegian fanclub. Of course all regulars are present too. It helps a lot when you can read Norwegian, but the picture quality makes it a treat for everyone. No time to go on Holiday now. But I do have some Vacation time scheduled for Thanksgiving time in November. Magazine...5 stars.